MT. 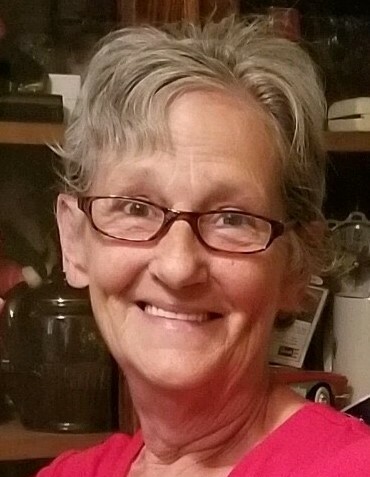 VERNON- Rebecca Anne (Alberts) Hager, 62, passed away Monday, March 25, 2019 at home with family and under the care of Kindred Hospice. Becky was born June 2, 1956 in Mt. Vernon to the late Orlo O’dell and Evelyn Dollie (Davis) Alberts. She was employed by Country Court in Mt. Vernon as an STNA for many years. She is survived by her husband of 45 years, Jack Hager of Mt. Vernon, whom she married June 8, 1973; her daughters, Annisha (Calvin) Maxwell, Jackie (Brad Wilhelm) Hager, and Crystal Camara, all of Mt. Vernon; grandchildren, Tessa Maxwell, Shawn (Sammi) Maxwell, Jamie Hager, Yasmine Muhammad, Khadija & Mariam; great-grandchildren, Addison Flack, and Chloe & Lilly Maxwell; her sisters, Wilma Alberts of Ft. Myers, FL, and Eva Alberts (Stan) of Brinkhaven; a brother, David (Deb) Alberts of Mt. Vernon; as well as many nieces and nephews. In addition to her parents, she was preceded in death by her brothers, Gary, Ralph, Robert, Charles, and Donald Alberts. Memorial donations may be made to Fischer Funeral Home, P.O. 515 Danville, OH 43014.